Those seeking the freedom and excitement of Self drive tours always wonder whether it is safe and a good idea to go for Self drive car hire for safari in Uganda. 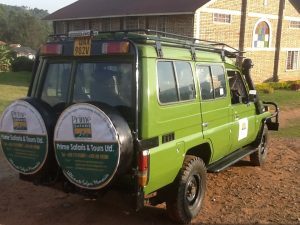 To drive your own adventure is definitely a great choice you can make for your trip and car hire rentals Uganda Kampala take the lead in offering any kind of 4×4 safari vehicle no matter the kind of travel with car delivery and pick up done by the company. The main reason for Self drive car hire for safari in Uganda is the flexibility that comes with road tripping at your own pace responding to the urge of many tourists to discover their own adventure. You have your own travel means therefore you can adjust your travel plans for a stop at sight of anything amazing or something new you hear about. For many taking the road trip adventure by your own is not only cost effective but more exciting with spontaneous stops. For starters, renting a car from well-known companies is surely advisable to make sure you guarantee that you will have the vehicle. Advance booking is very helpful especially if you are traveling during the peak season when many tourists undertake Uganda safaris. If you need the peace of mind alongside the flexibility of self drive in Uganda, hire a self-drive car from a travel agency with accommodation. With this you drive knowing your next destination without worries of not getting space to spend the night. Check thoroughly and read through your rental terms carefully before signing the agreements. In case you need clarification on any of the terms ask about it before you sign the agreement because this can save you from getting stranded during your trip. As you receive the car from the company, make sure you inspect the car for any damages before the person who delivers the car leaves. Note down with the presence of the person who delivers the car any damages, scratches, dents just to avoid payment for any damages you did not cause. Before you drive off the car, remember to ask about any extra costs that could be incurred due to how you handle the car. Be sure of how much fuel you need to return the vehicle, where to fuel the car from and where the car can be picked from after your trip. Ensure you meet the minimum age limit for driving in Uganda (18 years and above) because documents are checked before the car is delivered. For most Uganda wildlife safaris, you must expect to drive up country where the roads are rough therefore a 4×4 safari vehicle is recommendable. Air-conditioning should be a must in your vehicle especially if you are traveling during the dry season of November to February. Check your insurance carefully and make sure it covers vehicle theft. If you are traveling in a group, it is recommendable for you to have more than 2 people able to drive such that you can interchange in between destinations. Since it’s an adventure it should not be affected by getting stranded, always drive between attractions during da time such that you can easily get help in case of any need.